Everyone likes to earn money and Making money online jobs do exist. The people who spend more time online looks for ways to earn online, There may be online job prospects that are scams, but they are outweighed by well-paid and legitimate opportunities available. As why not if its possible? Thinking creatively is the key and it teaches you to adapt your skills. Making money through website or blog is the most trusted and best way. Select niche (topic) which interests you most, you like to talk about, you can write about. Then make a website on that topic if you have budget you can buy your own domain and hosting or create a free blog at blogger.Write enough unique content. Then place advertisements on your site and start earning money. 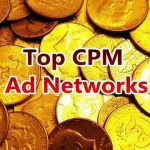 The most easy way to profit the traffic from CPC networks, such as Google AdSense, but if you traffic are target or products based, it’s more recommended to use affiliate program. Affiliate Marketing is the simplest way to make money online. 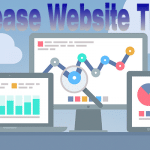 Attract numerous visitors to your blog. If you have visitors, many companies will pay you to run advertisements such that it links their websites. It’s also a wise ways to make money online like from Social Networking sites. Social media has transformed the businesses way of approach to build brand loyalty and to reach customers. Companies also look for people who consider Google Plus, Facebook, Twitter and Instagram as the second nature. If that’s you, go ahead. What is required: Experience in journalism, communications, public relations or marketing is certain to give a leg up. Communicate to build brand awareness and tweet special deals, keep the Facebook page updated and thus drive traffic to the website of the company. 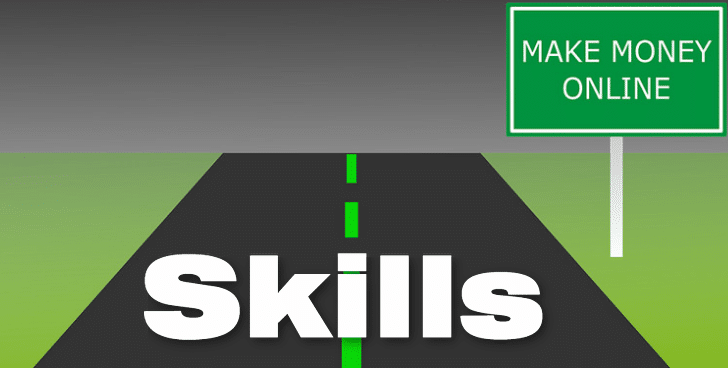 How to start: Show your web skills by including on your resume links to your LinkedIn, Facebook and Twitter accounts. Maintain creative social and active accounts. Show how you gained followers by creating links and highlight if you have supported some cause in your Twitter feed and Facebook page. Submit resume to upwork.com and jobsinsocialmedia.com. Creating contents is mostly given by companies as outsource to freelancers. Everyday there are new sites emerging and writers are in demand continuously. You can make money by writing articles ( Guest Posts) on other websites. Many websites pay for quality guest post. There are many freelancers site on the net. What is required:Expressing your talent concisely, framing your idea into words and reliably meeting deadlines. Generally, companies look for contents relating to a specific field of expertise, thus sell yourself in your strength of areas. How to start: Check listings, freelancing and when you consider you to be fit for a post, offer your services.And you can easily find the writting jobs online on, Fiverr and Elance. Teaching is around in the centers, but busy families look for online coaching. This is a great option for people to make money online by working from home. This is more appropriate if you ardor a subject in particular, say math or English and also have the tact to impart knowledge. What is required:A college degree or course completion of two years in the subject you want to tutor. There is no need to have prior experience. How to start:Create a flier or an ad with your contact information and credentials to put it up in grocery stores, libraries and on community bulletin boards. You can get registered with Tutor.com, a website that assigns students as per your credentials. Do you always offer assistance with computers, cell phones and video game systems to your friends and relatives? If you are good at explaining and navigating technology, the tech support representative job is the best. You can offer the right support through email, phone and online chats at your convenient time and earn money online. What is required:Patience to handle frustrated consumers, ability to explain solutions to resolve problems of customers. If required get some short-course training. How to start:Scan computer manufacturer’s websites such as Dell, Lenovo and so on. Convince them about your handling customer-support issues. Once convinced by such companies, you will be contacted by many more. Communicating in more languages has become a business need. Thus, bilingual people can have a virtual office and participate in live conversations using Skype and translate documents. The languages in demand are Spanish, Japanese, French, Chinese and Korean. Suit your timing and work with agencies having global client base. What is required:The ability to write read and speak fluently more than one language. You can find enough and more work in Spanish, Chinese and French; remember higher is the demand for the more obscure language. How to start: Upload your resume; list your services and rates. The jobs may include subtitling movies to translating a tourism brochure. You can enlist with some online agency or apply directly and enjoy working on projects that fits your abilities and calendar, thereby enjoy making money online. Earning money online by selling items can be done. You may know lots of guys cop sneaker with Bot and Proxies, then sold to other to make money. It needs you to reach people, who are busy and wish to get rid of their stuff. What is required: Experience of selling goods on eBay through auctions and promoting your services is a must. How to start: Getting listed with eBay sellers and websites directory of trading assistants such as ebaytradingassistant.com. Firstly, you must be a self-starter who must spread the word to your family members, friends, strangers and acquaintances. Companies lookout for people to “go digital”. Many outsource the inputting data task on a regular basis. What is required:Typing accuracy, a computer and good typing speed. How to start:Demand is high, though scams are also plentiful. Search at Google for online data jobs and also the Craigslist. You may apply to human resourced department as cold-call. People good with family calendar can become a perfect virtual assistant. there are many outside looking for someone to handle scheduling, e-mail, travel arrangements and even as a personal virtual assistant for a busy executive wishing to schedule many appointments for their home, children, banks and many more. What is required: Excellent time-management skills, administrative experience, pleasing phone manners and to handle a host of tasks. Microsoft Office experience helps. How to start: Advertise on Craigslist or with Zirtual.com or eaHelp.com or contact your area businesses to assign clients to you. Virtual call centers are common and they route incoming calls to an agent’s phone. The work is to respond to customer service inquiries and to sell products. What is required: Pleasant phone presence, professional approach, ability to read a script to sound natural, a headset to your phone and a quiet work are. How to start: Enroll to a call-center company or become an agent to any company website. Last few words, Find your skills and go on. Be consistent don’t quit, good luck!